At Hacienda Custom Woodwork and Cabinetry we manufacture only the highest quality products. We build everything to your expectations. Classic style with a sense of elegance. 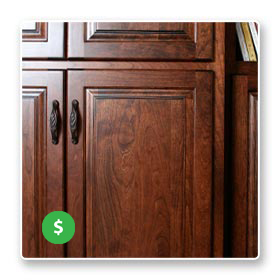 Doors and drawer fronts are flush with face frame with a 1/8″ reveal. Maximize your interior space by going frameless. 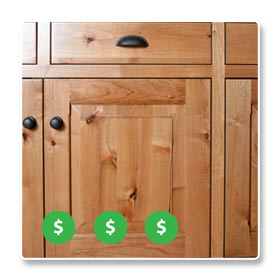 Door and drawer fronts have a full overlay with a 1/8″ reveal. Traditional Style that creates depth. 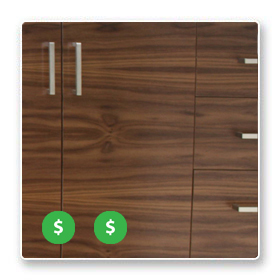 Doors and drawer fronts use a 1/2″ overlay and a 2″ frame.